College-Level Examination Program (CLEP) is also known as testing out or credit by examination. This program is a shortcut to earning a college credit without paying the College for a course. Once you graduate from high school, you can take the examination of a specific course that you are familiar with. With enough preparation, you may get a good score and get the credit out of it. The CLEP examination can be used to build up dual credit, which means that you can credit a course in high school as well as in college. The exam can shorten the years of study necessary to finish a college degree, while allowing you to take other courses. Since your subjects are credited, it can save you money in earning a college degree, given that the CLEP exams are cheaper than registering for a college class. The CLEP will help you determine the College that fits to your abilities and needs. It may also help you determine the degree or course you must take in college. When you have a good score for basic skills classes like mathematics and English, you are no longer required to take it in college. Through your preparation, your study skills will be developed, you will learn new things and you will be prepared for college level examination. It will also give you the chance to experience the college environment. It will also allow you to review current social issues and controversies by studying social sciences which will update you on the current events. CLEP credits are widely accepted by more than 2,900 colleges. The examinations are 90 minutes long; usually in multiple choice formats. Some tests have essay questions usually required by specific colleges. There are other credit-by-examination programs in the country like DANTES. It is important to check whether your preferred college accepts and allows credits to be transferred from any testing source. The Registrar’s Office of the Towson University has announced that they will no longer be a testing site for the College-Level Examination Program tests, a program that provide students chances to gain course credits without finishing the class. 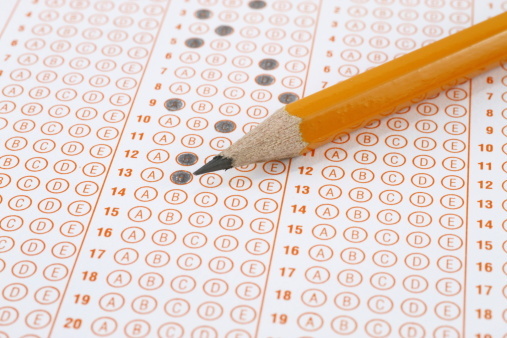 The Towson declared they would no more be offering students with the CLEP test. “Towson would like to provide the test for students, but we’re just not able to do it right now,” she said. Hyman said that Towson will still be recognizing test ratings that the school has accepted from other examining websites. For many decades, the CLEP test has been an aid for students to help them fulfill their graduating work deadlines. It also allows students, who have encounter outside of an excellent through other employments, to convert that experience into course attributes. The College Board that controls the CLEP test, SAT, ACT and other tests, declared last drop that they have restructured the test to an “internet-based testing” structure. The test is now being organized and obtained on the internet. The reorganization would need Towson to offer extra employees, coaching for the employees and extra managers for the examining middle to be able to maintain an examining website. According to the College Board’s web page, to use the new examining application would also need the school to eliminate the examining computer’s PC fire walls and change their system fire walls. Hyman said that Workplace of Technological innovation Solutions would not allow any changes to the system firewall system. Hyman said that she has approached Higher education Panel in an make an effort to settle the examining specifications, but has not obtained a reaction from the company. According to the Registrar’s office, the school has given 313 tests over the last three decades and has accepted 35 test ratings from other websites. Jean Foley, the system control professional for the Registrars Workplace, said many of the students that take the CLEP test are bookkeeping degrees. “Accounting students take the tests so that they can fulfill the 150 credit score need to take the Qualified Community Financial advisor Examination,” she said. Junior college student and Chief executive of the Towson University Group of Student Accounting Marta Niguse said that she has been conscious of the stopping for a while and has instructed students to other examining websites. Niguse said that the travel would be an difficulty for students but provided that the attributes are transferable it wouldn’t be a problem. A record of available websites can be discovered on the College Panel web page. Hyman said the University will still be offering Retail Examination and Assessments, tests just like the CLEP but with less course choices, to students. The College Panel’s Emails division recognized, through e-mail, that the examining process has been modified but did not opinion on the University’s scenario.